Today is the official first day of fall. It may not feel like it in Fort Worth, Texas, yet, but the pumpkins are already out and the stores are filled with Halloween candy. With that much candy all around, it can be tempting to already stock up for trick-or-treaters. 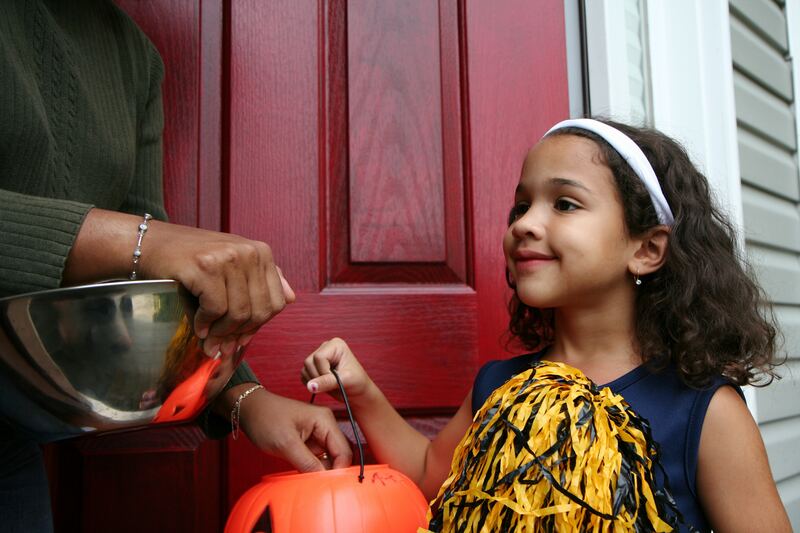 Passing out the biggest and best candy can become sort of like a status symbol for a neighborhood on Halloween, but is all that sugar really necessary? There are some options to provide the kiddos with some treats they will enjoy and that their parents will not be so worried about. Depending on where you shop, these options usually cost the same as all of the big bags of candy. Have you seen the cute little water bottles that contain about 8 ounces of water in them? You can get a a pack or two of these to hand out to trick-or-treaters. If you are feeling really festive, you can decorate the bottles (while keeping them sealed) like little pumpkins or monsters. The water can be refreshing during their walk around the neighborhood or as a nice smile rinse between the candy-eating at home. Glow sticks come in all shapes and sizes. They are affordable in bulk and can be fun, bright delights for kids to play with. Halloween stickers or even temporary tattoos can make for a fun treat for kids to find in their loot bag among all the candy. You can even opt for non-Halloween themed stickers to allow them to keep having fun after the holiday. Sugarless gum may not be the most exciting treat in the bag, but it will be a great help to their smile. Chewing sugarless gum can help keep saliva flowing and some of the bad sugary agents rinsed out of the smile. Little toys like kazoos, bouncy balls, vampire teeth, yo-yo’s, fake spiders, and more can be fun, affordable options for handing out on Halloween! Candy is not the only treat for trick-or-treating. To schedule your consultation call Lake Country Orthodontics in Fort Worth, TX at (817) 236-7846. Our office proudly serves patients who live in White Settlement, North Ft. Worth, Springtown, Rome, Haslet, Azle, Saginaw, and all surrounding communities.